To grow your ecommerce sales, whether in November/December, or March, or June, you need to take consistent action throughout the whole year. What will help you achieve your sales targets and business goals is keeping track of the ecommerce calendar. Did you know that in Europe there are big seasonal sales twice a year? Or that in Spain there’s the San Jordi tradition that can generate some extra sales for your store? There are exciting opportunities for you every month: start marking them in your calendar. 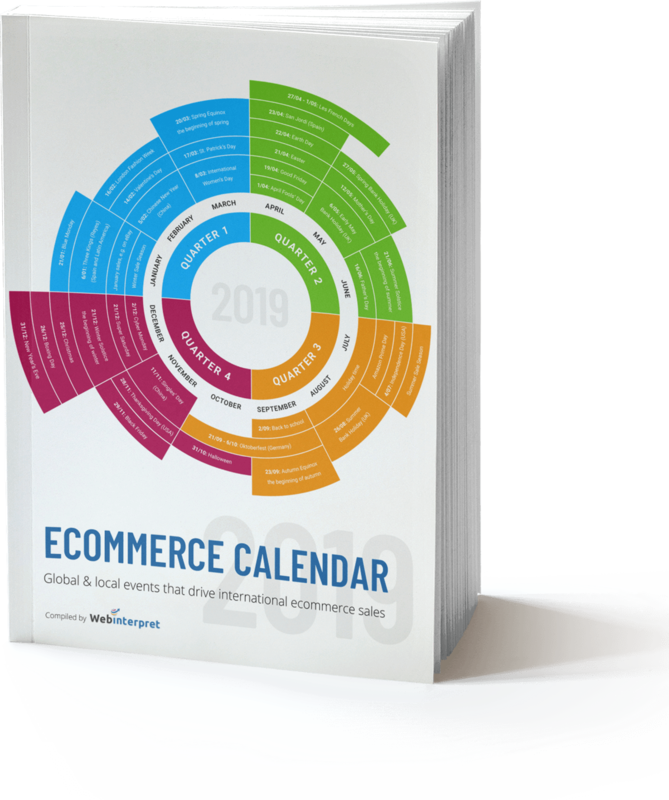 Here’s the Ecommerce Calendar 2019: a must-read for all international online sellers! Key dates + 5 tips for each month to help you maximize your sales potential on both domestic and international online markets. Get familiar with the dates of events that drive ecommerce sales. Learn about more regional events that can provide your online store with plenty of sales opportunities, sometimes bigger than Christmas. ... to help you plan your sales & marketing strategy throughout the year. Plan your ecommerce activities consistently across 12 months. Keep track of crucial dates, sales events and check out relevant tips at a glance. Don’t focus on Christmas only, but try to plan your actions wisely throughout the whole year. you can earn internationally even more than during the Christmas season.